With his latest book release, 7 Weeks To A Better Marriage, Jim tackles one of the most difficult topics known to man – marriage. All over the world, couples struggle with how to keep their marriages alive. In this clever writing, Jim walks through 7 key points that every marriage should focus on. 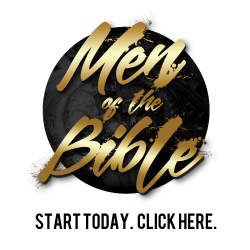 Written as a weekly study guide, men will be able to take the lead as they read and guide their wives along as they learn from this book. “Marriage — both a boom and a bane depending on whom you talk to. Marriage is a booming business for wedding planners and vendors who provide all the necessary trimmings to the wedding day. It is also a booming business for the lawyers who help couples out of the original covenant they committed to on that wedding day! It’s a bane to married couples going through struggles that seem intractable. And it’s a bane to the friends, family members, counselors and others who endure watching couples struggle to regain the joy, enthusiasm, confidence and the romantic spark that originally brought them together.